Established in 2015, the Casino features an amazing assortment of games from different providers. The Casino is owned by Game Tech Group N.V. Casinos and is licensed and regulated by the government of Curacao. Having been in business for about three years now, the Casino has already cemented its place in the highly volatile online gambling market. The Casino offers players a diverse range of slots, solid customer support, alluring bonuses and promotions, and robust client’s information protection protocol. 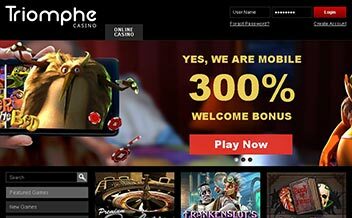 Casino Triomphe offers both new players and existing ones alluring bonuses and promotions that are geared towards ushering them in and maintaining them in the platform. The welcome bonus package features a 300% bonus up to €1000. 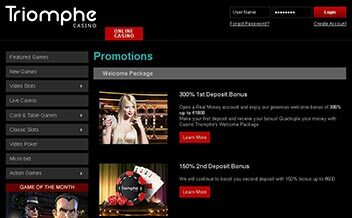 For the second deposit, the player gets 150% bonus up to €600. To withdraw the bonus and winnings, the player must wager the amount 20 times. 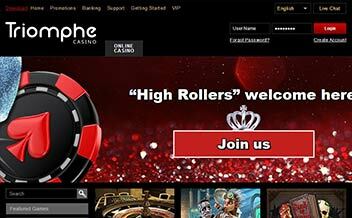 Other than the welcome bonus, the Casino also has a VIP club where loyal players get different rewards such as cashback, deposit bonuses, and free spins. 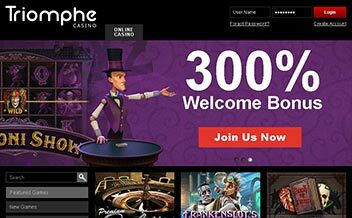 Casino Triomphe offers players an amazing selection of slot games that are developed with the aim of meeting the diverse needs of the online Casino gambling market. Some of the games available include Pinocchio, Gypsy Rose, Cosmic Fortune, and Sunny Scoops. Casino Triomphe also has the needs of the table game fans in check. The games are provided by some of the industry’s greatest developers such as NetEnt, NextGen Gaming, Thunderkick, Gamescale, Betsoft and 1*2 Gaming include variants of Blackjack, Roulette, Baccarat, Pai Gow Poker, and Casino Hold’em. Casino Triomphe also offers players an amazing selection of specialty games that include video poker games. The games are tailored to enhance the player’s experience by allowing them to play regardless of their stake. Some of the games include Jacks or Better, Alien Poker, Deuces Wild, and Caravan Poker. The Casino’s software is powered by some of the industry’s greatest developers. The collaboration has given rise to a diverse and attractive software that makes the player’s experience great. The software has a user-friendly interface that allows players to navigate easily. Some of the gaming developers include Betsoft, NetEnt, NextGen Gaming, Gamescale, Thunderkick, Nektan, 1*2 Gaming, and Novomatic. The United Kingdom, Singapore, the United States, Belgium, Turkey, Italy, and Israel. Bank Wire Transfer, Visa, MasterCard, Neteller, Entropay, TrustPay, Postepay, Skrill, Paysafe Card, SafetyPay, QIWI, among others. Casino Triomphe runs on major browsers such as Opera, Chrome, and Mozilla. 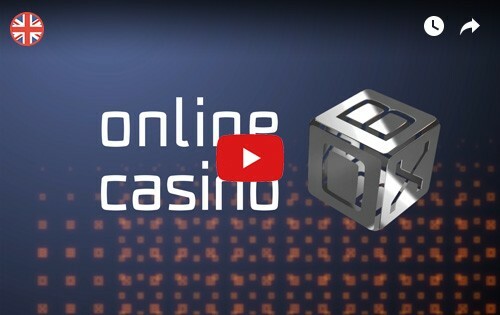 Players can also access the Casino for download and instant play which makes it effective as players do not necessarily have to download files on instant play. A diverse range of games available from different providers.  The Casino has one of the best software considering the number of developers behind it. Other than the terrific selection of games, the Casino also has an alluring welcome bonus and VIP club, strict security protocol and is proven fair by GLI.